8. where appropriate, alternatives to spending from the endowment fund and the possible effects of those alternatives. Donor notification is required, unless exceptions apply, for endowments that existed before 9/17/2010, giving them the opportunity to object to the spend from the historical gift. If the donor consents to NYPMIFA or if the donor fails to respond within 90 days, the organization may spend out of the historical dollar value. If the donor objects (or opts out), the organization must keep the historical gift intact. -Donor specification prevails over the 8 factors above. The training below explains how to label funds in Fundriver as either an Opt In or Opt Out, depending on whether the donor has agreed to spending below the original dollar value. Please note that an Opt In code is not required for the fund to participate in underwater spending. Both the Opt In and None codes have the same effect on spending and will allow the fund to go underwater. Opt In is usually used to differentiate which donors have actively responded to an Opt In/Out notification, whereas the None code may signify lack of response. 1. 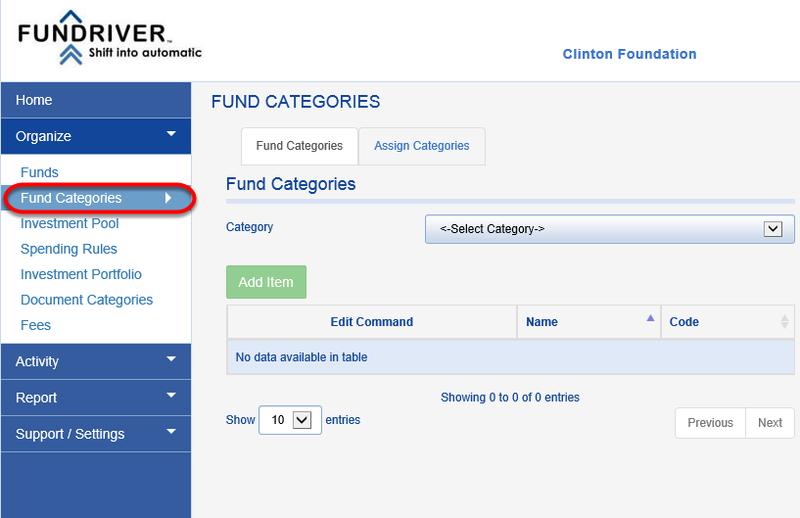 To track NYPMIFA opt ins/outs, you can utilize the SECONDARY CATEGORY field on the FUND PROFILE in Fundriver, which is customizable. Contact Support to rename the field either "Underwater Spending" or "NYPMIFA." 2. 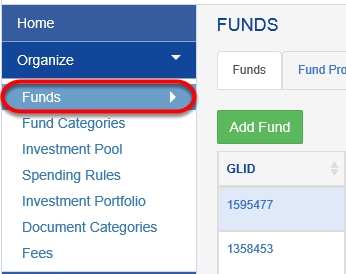 To create the Opt In/Out table, click on ORGANIZE > FUND CATEGORIES. 3. Select SECONDARY CATEGORY, or, if the field has already been renamed, either NYPMIFA or UNDERWATER SPENDING. 4. 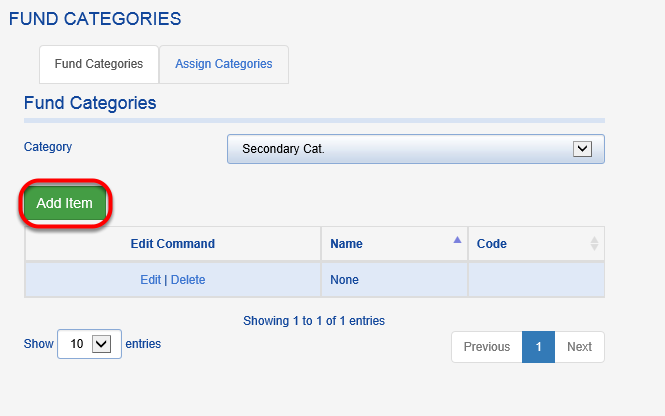 Click ADD ITEM to populate the new table. 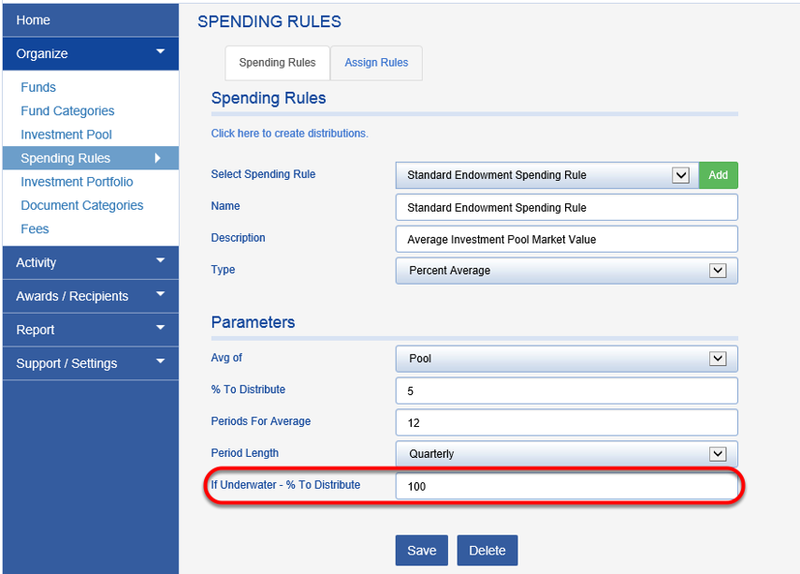 Using the code of OO in your Fundriver database will tell your underwater endowments to only payout the spending amount above water (the spending distribution will not make the fund go underwater) and distribute/reinvest the remaining payout. There is also an OO-2 code available (which will need to be customized upon client request). The OO-2 code will payout a full distribution even if the distribution will put the fund underwater. Both Opt Out codes will not distribute if the fund's value is already underwater at the time of the distribution. Repeat the process to create the Opt In code, if your organization chooses to track Opt Ins. 7. To add the Opt In/Opt Out code to existing funds, Go to ORGANIZE > FUNDS. 8. 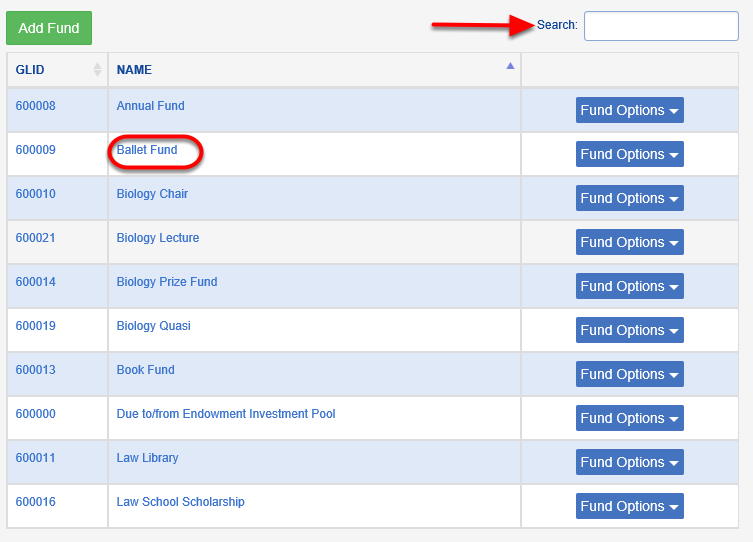 Use the Search function to find the fund to which the Opt In/Out code should be applied. Click on the fund NAME. 9. 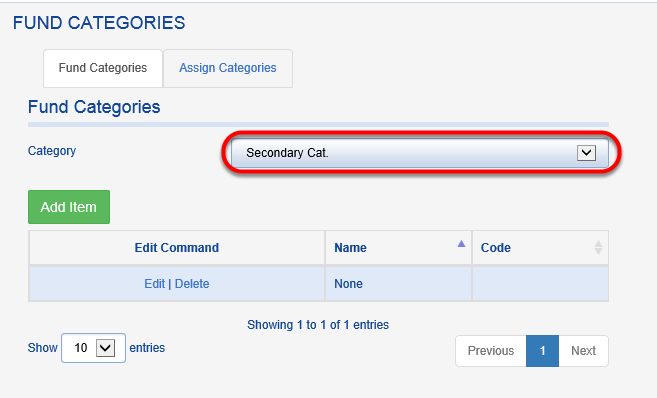 Find the SECONDARY CATEGORY field and choose either Opt Out or Opt In from the drop down. Repeat steps 8 and 9 for all funds that need an Opt Out applied. If many funds need to be assigned the code, you can submit the information as a group via the Data Load Template. This code can also be assigned when a new fund is created in Fundriver. Additional Note: If you are using a percent average rule, the IF UNDERWATER - PERCENT TO DISTRIBUTE field needs to be populated with 100% for the Opt Out (OO) code to work properly. For other Spending Rules (Per Unit Distribution, Proportional Distribution, etc. ), they will automatically distribute 100% except for funds that have an OO code (which will only get a distribution for the amount above water).